This robotic urinal is an entertainment urinal and a distance-activated audio and laser installation. It is an electronic ready-made and an entertainment ready-made. The technically upgraded urinal gave Marcel Duchamp a tribute and made homage to the millstone of the contemporary art, Fountain . Adding electronic devices to the traditional form of Fountain made interactions between the artwork and viewers. If someone approached the urinal, the robotic urinal shows Duchamp’s name inside by shooting a laser beam and saying something such as “Fire, Fire…” So ideally people can urinate to Duchamp’s name. Duchamp would appreciate this mischievous piece because it paid tribute to his anti-art concept with an electronically upgraded urinal. The robotic urinal is remade Duchamp’s Fountain, copied his concept, and renamed it as “Yoo, R, Mutt 2007”, which admire some ideas became main issues in contemporary art, such as “reproducing”, “remaking”, recycling”, and “copying” in art. 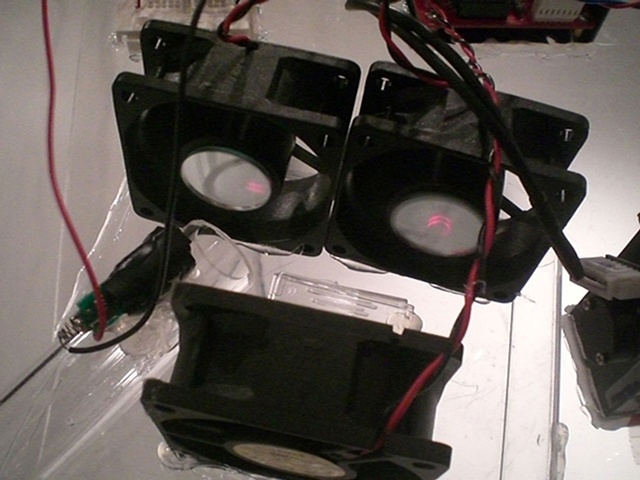 Yoo, R, Mutt 2007 project also has influenced the Organ-machine Hybrids projects series because the Organ-machine hybrids are related to Duchamp’s notion of the “ready-made”. Duchamp’s “ready-mades,” repositioned, reused, and recycled found objects into art and demonstrated the philosophical and aesthetic possibilities of modifying the original context into a new different context. As Duchamp repositioned the urinal, Fountain, as artwork, animal parts are now moved into the art context as fine art material in the creation of the Organ-machine hybrids.